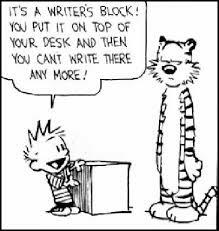 There was a time when, quite smugly, when I would laugh when I read about or someone told me they were suffering from, writer’s block. I didn’t laugh out loud. Instead, I would have a concerned look on my face and nod gravely, much like a doctor listening to the symptoms of a patient. But inside . . . well, inside I was kind of laughing. Thinking to myself that this is some made up excuse for not writing. I should know, because I’ve got plenty of experience with excuse-making-upping as a runner. For more than a year (a YEAR! I honestly didn’t know it had been that long) I didn’t write a blog post. Occasionally, friends or family would ask about writing. Or even say something kind, like they missed my blog posts and hoped I would start posting again soon. I would nod and smile, in a much different way this time, and agree that I did need to post something. Or that I had been busy with kids or work or laundry or watering the cat or any other such number of excuses. However, I knew that wasn’t true. I think probably writer’s block is different for different people. And I’m still not sure I completely understand what it has been for me. It seemed to take the shape of a number of things mixing together, combining into one formidable foe. It was a combination of fears and anxieties that became not just a mental block to coming up with new ideas; it also became almost a physical block, like an invisible force that stood between me and my keyboard. I do know one thing: most of the time I didn’t even want to write. After my last post in March of 2016, I would have writing ideas come to me from time to time. Usually they were very vague. And most of those ideas were (how can I say this nicely) lame. Or at least they seemed lame to me. It seemed that most of my ideas and even my writing (if I got that far) was not very good. Certainly not good enough for . . . for what? Well, for anything. Or anyone. It didn’t seem that anything I wrote could possibly be good enough for anyone else to read. So why bother writing? That led to another aspect of writer’s block for me: even if my writing was any good, I didn’t think anyone would want to read it. I mean, I didn’t have anything worth saying, so why would anyone want to read it. Garbage all. Or so I felt. So it went on. Days without writing stretched into weeks. And weeks into months. Last summer, I bought a new laptop. As you can probably guess, like most of what I do, I don’t do it like normal people. Buying a new computer is no exception. Most people look at things like memory and speed and important things like that. Not me; I always test it out to see how it feels typing on the keyboard. But if anything I became worse. I had this beautiful new piece of technology (I’m a sucker for the latest in new gadgets) . . . that sat on my desk, nothing but an expensive paper weight. Occasionally I would get it out and surf the net. And every once in a while I would think about writing, maybe even venturing to my website. But that’s as far as I could get. At that point, my heart would either literally race or I would be struck by a great big feeling of Who Cares. Whether it was that or something else, I felt like writing. In fact, I felt a need to write. Something. Anything. But would it be good enough? Would anyone want to read it? That’s the thing though. Was I writing for other people or was I writing for me? And if it wasn’t “good enough”, who really cares. I needed to write, to express myself in my own goofy, warped way. But it was my way. Have I overcome writer’s block? I don’t know. I’m not sure if anyone ever overcomes a fear. Overcome is a strong word. Instead, I think we learn to tame it. To live with it. To face the thing that you fear and do it anyway. That’s where I am now. It feels like a good place. No promises, but I hope I can stay here, and continue doing this thing I enjoy so much. This is really good Mark, now if you just didn’t have texting or phone block. WELCOME BACK! I’VE MISSED YOU! Imagine my surprise and…yes…joy when your blog appeared in my email last week. It was so good to see you back. I’ve been wanting to hear your “ramblings.” I, for one, enjoy your unique take on life. Also helps me keep up with you and your family. So, count me for one who enjoys what you have to say and look forward to getting it. WRITE ON, BROTHER!